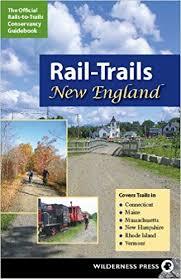 The following is a list of places to mountain bike on the Massachusetts North Shore, listed by towns. The state forests and preserved land in this area provide hundreds of miles of great mountain bike trails. The Bay Circuit Trail connects several state forests and other protected land through 34 towns in Eastern Massachusetts.. Many of the trails listed here, including Willowdale and Harold Parker are part of the Bay Circuit Trail. Lowell-Dracut State Forest: 1100 acres, with forest roads and single track. View at NEMBA.